In the boxing ring, the reach of Muhammad Ali spanned seventy-eight inches, longer at better striking than any of his opponents. In his genetic makeup, the heavyweight ancestry of Muhammad Ali stretched from Roman era enslavement toward Civil War emancipation, For Ali, that never was enfranchisement enough. Moved by faith, Ali’s adopted persona infused every corner of his being. In the end, his fight redefined and symbolized his every oddity and eccentricity as authentically American. Ali claimed personal freedom, executed individual accomplishment, spread loving care and humanitarianism, and promoted social justice. Recognized in his time as “The Greatest,” Muhammad Ali became a legend, not too unlike the legendary cousin in his shadowy ancestry whom Ali never knew, America’s favorite outcast Jesse James. Muhammad Ali was born Cassius Marcellus Clay, named for his father who bore the same name. 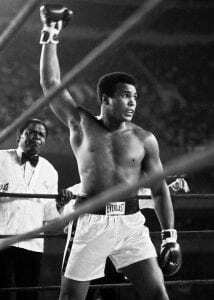 Although his father’s nickname was Cash, Ali’s full name came from a notable emancipationist, Cassius Marcellus Clay, a second cousin of famed Kentucky statesman Henry Clay. 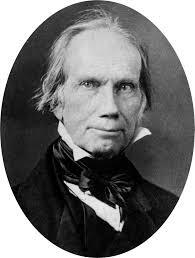 Five members of Henry Clay’s family bore the name of Cassius Marcellus Clay. The Clay family naming practice, although trendy in the period for its classical allusion, derived from the naming practices of ancient Rome. Romans attached a three-part structure to naming. The given name was a praenomen. The family name was the nomen. Finally, the nickname was the cognomen, the common name by which one was recognized. The family name Cassia was taken from the Latin “cassus,” meaning empty, void, hollow, or vain. In the Roman era, vanity was respected as a positive force by which one might rise in status out of nothing. As a class, the Cassii advanced to the patrician level, the name dating back to the 6th century B.C. Back then, Spurius Cassius Viscellinus vainly addressed land ownership issues between the patrician and plebeian classes. Patricians considered the laws too friendly to plebeians. Cassius was tried. Then he was violently executed. The Cassius name arose from a lack of estimability to transfix itself as a representation of honor. In Roman time, Gaius Cassius Longinus conspired vainly to assassinate the tyrant Julius Caesar. In the Middles Ages, four Saints held the Cassius name, most all were persecuted, martyred and then honored. Vanity affixed almost naturally to Green Clay’s son, Cassius Marcellus Clay. 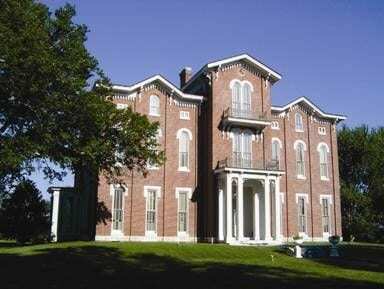 As a Major General for the Union in the Civil War, Clay was recognized widely as “The Lion of White Hall.” The family estate is located in Richmond in Kentucky’s Madison County. Twenty years before the Civil War, Cassius freed White Hall’s enslaved people. He then published an anti-slavery, abolitionist newspaper, The True American. While Cassius recovered from typhoid fever, his printing office was attacked and pillaged. Cassius removed his printing office across the Ohio River to Cincinnati, though he continued to edit from Lexington in Kentucky. 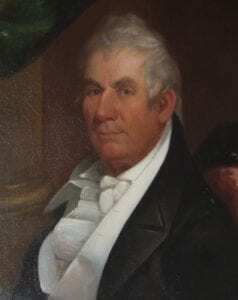 Following the Mexican War in which Clay was imprisoned in Mexico City, Clay returned to run for the office of Kentucky Governor. His anti-slavery platform defeated him. He then provided land and underwriting to found Berea College. 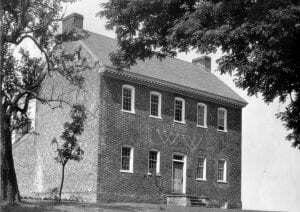 The new institution of learning accepted women as well as men, Moreover, it welcomed people of color as students and educators. Cassius furthermore took a role in founding the Republican Party. His anti-slavery sentiments befriended him to Abraham Lincoln. 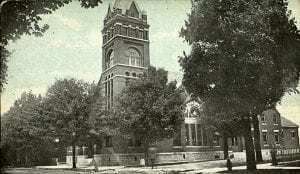 While in Russia, Clay’s wife Mary Jane Warfield administered to White Hall flawlessly. 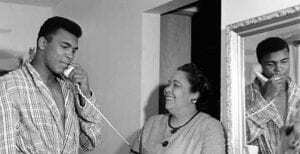 However, upon Clay’s returned to White Hall bringing a son she never knew, Mary Jane divorced Cassius Marcellus Clay. He married again to fifteen-year-old Dora Richardson but divorced her quickly, and never remarried again. History does not record if Muhammad Ali’s great-grandparents, John Clay and Sallie Ann Fry were part of the enslaved family at White Hall. 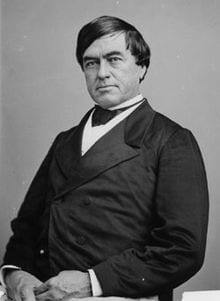 Nor can history confirm if John Clay was an actual descendant of Cassius Marcellus Clay. History may never solve the former, but DNA testing still can resolve the latter. 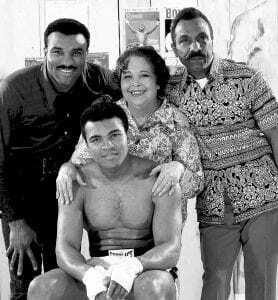 The possibility also exists that the Clay family of Muhammad Ali may not attach to the family of Cassius Marcellus Clay at all. Ali’s family might connect to some other Clay line of the Henry Clay family. Regardless, the persistence of genetic behavior, character, and motivations between Muhammad Ali, today recognized as “The Greatest,” and Cassius Marcellus Clay the Lion of White Hall are compelling, as is Muhammad Ali’s apparent acceptance of his high probability of kinship. One cannot listen to Muhammad Ali speak about all he found in his world that was white without the Lion of White Hall appearing ghostly behind him. Ali is not an imitation of the former. Ali is an authentic reflection. If Muhammad Ali’s ancestry on his paternal side is indefinite concerning his kinship to the family of Henry Clay, his mother’s ancestry points decisively to ancestry just as complicated and white but with a clear path to his relationship with America’s iconic outlaw for social justice, Jesse James. Muhammad Ali, aka Cassius Marcellus Clay Jr.
Odessa Lee Grady & Cassius Marcellus Clay Sr.
Ireland claims it is the source of Muhammad Ali’s pugilistic genes. Odessa Lee Grady’s grandfather Abe Grady was an immigrant from Ennis, County Clare in Ireland. He immigrated to America in the Civil War era. Abe married an emancipated African-American daughter of Louis and Amanda J. Walker. 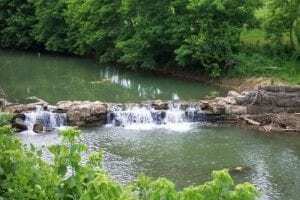 Abe bought and farmed land on Duck Lick Creek in Logan County, about ten miles from Russellville. Their son, John Lewis Grady found employment with the St. Bernard Mining Company as a coal miner in Earlington. His registration card for World War I lists John as Ethiopian by race. When Odessa Lee Grady married Ali’s father, Cash Clay, the couple removed from Earlington to Louisville. Cash Clay was an abusive husband and an alcoholic. Ali later affirmed of his mother, “She is afraid of him.” The couple separated when Ali was nine. When Ali’s bicycle was stolen when he was twelve, Ali turned to boxing. Odessa supported Ali in the recreation that became his profession. The Old Union Church was founded in the early 1800s when the Russellville region was called Rogue’s Harbor. Migrants with few resources, little financial support, and no military land to claim in Kentucky following the American Revolution populated the area among a scattering of lawless miscreants and ne’er-do-wells. Among the founding members of Old Union Church were Spencer Curd with his father-in-law Col. John Curd. Joined with the Curds was Ali’s fourth great-grandfather Drury Woodson Poor. Settling at Lickskillet on Whippoorwill Creek among founders of Old Union Church was John M. James who married Drury Woodson Poor’s sister, Mary “Polly” Poor. The couple became the grandparents of Frank and Jesse James. When John and Polly died within months of one another, Drury Woodson Poor was entrusted with the couple’s eight orphans. Col. William Grubbs of Old Union purchased the slaves of John M. James upon his demise. William Perkins acquired land from Spencer Curd’s brother Samuel with a house on Whippoorwill Creek formerly occupied by their father, William Curd. Thereby, Perkins became neighbors with John M. James. Later, Spencer Curd was instrumental in finding Thomas Martin James, one of the James orphans, a teaching position at Bethel College, before T.M. James departed Kentucky to become a millionaire merchant in Kansas City. Spencer Curd also was the father-in-law of Nimrod Long whom the James Gang shot in the robbery of the Russellville Bank much later in 1868. 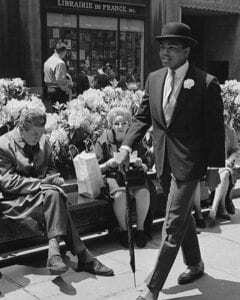 William Perkins’ daughter Adeline R. Perkins married Muhammad Ali’s third great-grandfather Armistead S. Morehead. Sometime after their third child was born, Armistead had an illicit liaison with a girl named Dinah. She is presumed to be a slave. Sometime between June and December in 1839, Dinah gave birth to Thomas Armistead, Ali’s great-grandfather. Armistead and Adeline had one last child before Adeline died. In Old Union Church, Thomas Armistead married Lizzie Bibb, who bore Ali’s grandmother Birdie Belle Morehead-Grady. Birdie made her home in Louisville. Some inaccurate history argues that the mother of Thomas Morehead was Armistead’s second wife, Henrietta Elizabeth Frances Poor. Henrietta formerly was married to Armistead’s brother, James Duncan Morehead Sr. With James, Henrietta bore five children. Among them, Elizabeth Ann Morehead was born in April of 1836, followed by the birth of Presley Leland Morehead in February of 1838. These two dates leave an interval in which Thomas Morehead could have been born in July of 1837. More decisively, however, both Armistead S. Morehead and Henrietta were ethnically Anglo and white. The census of 1870 defines Thomas Morehead as being mulatto, confirming that his mother Dinah had to be African-American. Regardless, Henrietta Poor’s marriage to Armistead S. Morehead makes Henrietta a step-great-grandmother of Muhammad Ali. From her Poor family descendants comes Ali’s step-kinship to Jesse Woodson James. Muhammad Ali had more than one path to his step-kinship with Jesse Woodson James. 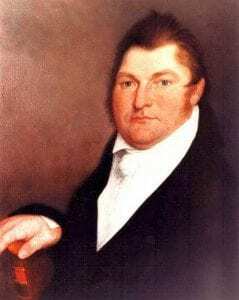 The sixth great-grandfather of Muhammad Ali is Johannes Vardeman, father of the eminent Baptist Devine Rev. Jeremiah Vardeman. Johannes is the Vardeman family’s immigrant to America from Sweden. The Vardeman family’s settlement in Kentucky was adjacent to the land of John M. James at Cedar Creek in Lincoln County. Next to them both lived the Kentucky’s famed Indian fight Col. William Whitley. Before their settlement, Johannes Vardeman was an ax man for Daniel Boone, blazing the Wilderness Road, which John M. James patrolled and protected. When Jeremiah Vardeman eloped with Elizabeth “Betsy” James, John M. James arranged to bring Jerry into Baptist ministry. In his time, Jeremiah Vardeman baptized over 6,000 converts. He founded, pastored, and preached among many of the Baptist churches in central Kentucky. He also gave Jesse James’ father, Rev. Robert Sallee James, $20,000 and seven enslaved, sending him to Missouri to found William Jewell College, where Vardeman also founded a School of Theology. Muhammad Ali’s connection to the Vardeman family gives him a confirmation line of kinship with the family of Jesse James. Extending Muhammad Ali’s relationships further, other relatives appear to contribute to the genes of “The Greatest.” Among them are US Presidents John Tyler and Benjamin Harrison, Confederate President Jefferson Davis; several governors of Kentucky, Virginia, and North Carolina; plus celebrities Glenn Close, Hillary Duff, and Katie Couric. Several ancestors, like Robert (Coronet) Poor, make Ali and his descendants eligible for membership in the Sons or Daughters of the American Revolution as well as numerous other patriotic lineage societies. Kinship alone did not predestine the life of Muhammad Ali. Almost entirely, it can be said, the life of Muhammad Ali was constructed by his choice and direction alone. Whether Ali knew his ancestry or not did not preclude him in his choices. Muhammad Ali, aka Cassius Marcellus Clay, fulfilled the destiny of his genes.